Have you ever been a victim of paying a good amount of cash at the airport or been embarrassed because you had to open your suitcase and repack your stuff just so you can meet weight restrictions? If you don’t want to experience this again, then you should check out the Tarriss Jetsetter Digital Luggage Scale. Why Is it Necessary to Buy a Luggage Scale? Luggage scales are created to ensure that you can check the weight of your suitcases even before you go to the airport. These scales are typically lightweight, portable, and easy to use. More than that, they ensure that you don’t ever have to pay for excess luggage weight to any airline because this device gives accurate readings. Tarriss specializes in electronic devices that help people protect their privacy from unwanted eyes. Their most popular products include passport wallets and holders as well as RFID-blocking money belts. Their core values are integrated into their products by ensuring that their customers will be treated like family and that the quality of their products is uncompromised. They also promise to keep on developing and sharing their knowledge in order to provide better devices. Only a limited number of manufacturers can provide a lifetime warranty for their products, and this includes the Tarriss Jetsetter. This luggage scale is sleek, polished, durable, and very dependable. Weighing only 5.6 ounces and measuring 5.8 by 1.2 by 1.9 inches, you can easily put this in your bag and carry it around wherever and whenever you travel. Making sure that your luggage scale can sustain the weight of your luggage and can withstand all your travels is very important when it comes to buying one. With this in mind, the Tarriss Jettsetter was made to have a solid steel body for superior durability. In addition, the bottom part of this scale is made from a plastic plate. This feature means that you won’t get hurt when you’re carrying your heavy bag. To add to its durability, they didn’t install a hook but instead equipped it with a sturdy strap that can safely carry bags when you weigh it. This luggage scale has an LCD screen for easy-to-read measurements of your suitcases’ weight. It also has a lock weight feature, so that you can still see the weight of your luggage for at least 20 seconds more even if you’ve already put your luggage down. Aside from that, this scale has a capacity overload feature too, which shows you if your luggage is already over the limit of the scale. This scale can measure up to 110lb/50kg and has a precision accuracy of 0.2lb/0.1kg. To use this scale, you would need a lithium battery, which is a lot of times better compared to other batteries. In order to preserve battery juice, this scale is designed with an auto shut-off feature, which activates when it has been idle for over 30 seconds. It has a low-battery indicator. Looking at the features, pros, and cons, we can say that this product is quite similar to the Etekcity Digital Hanging Luggage Scale. This scale is specifically designed for those constant travelers who are always in doubt of the weight of the suitcases that they carry. It has a weight capacity of 110lb/50kg and a precision accuracy of 0.1lb/0.05kg. It has a clear digital LCD display too, which is very convenient to use compared to manual scales. In addition to this, it is also designed with a temperature sensor to check both Fahrenheit and Celsius for your delicate souvenirs. For durability, it boasts a rubber paint technology and utilized textured hand-grip for a better handle and longer lifespan. It’s also equipped with an overload and low battery indicator as well as a lock weight feature for your ease of use. The auto-off and tare features are also great additions to this equipment, which both help preserve battery life. The downside to the Etekcity digital hanging luggage scale, though, is that it runs on two AAA battery, which can be easily drained. This could be a problem when you’re constantly on the move, and you have to keep buying batteries. LCD display – It’s important that you can easily see and read the weight display in your scale. When buying one, you should make sure to try it out before actually buying it. Measurement accuracy and weight capacity – When trying out the scale, you should check if the measurement is accurate. You should also consider how much its weight capacity is so that you can also use it for your heavier suitcases. 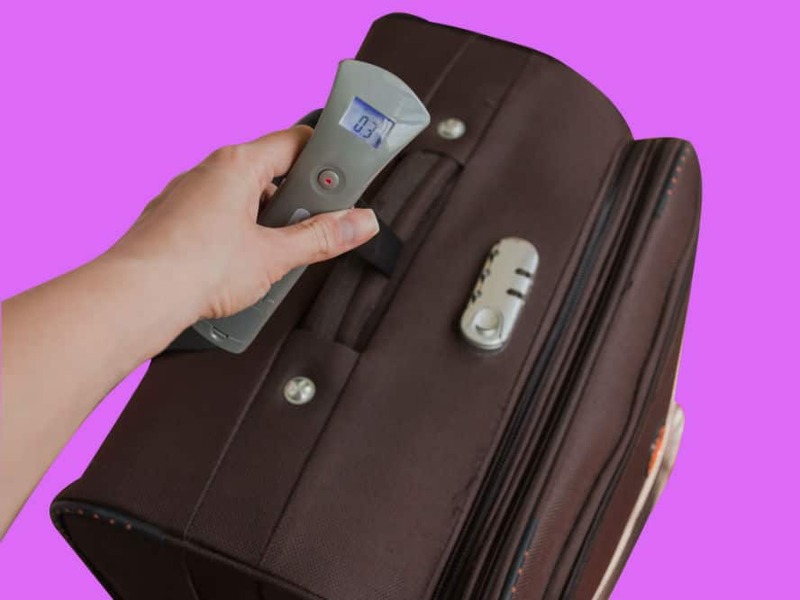 Auto-lock feature – This auto-lock feature is a great addition if you’re considering to buy a luggage scale because it will allow you to put down your baggage and still check the weight. Durability and warranty – A lot of scales are easily broken, so it’s important to check what it’s made of. The warranty that a company is also giving is equally important because you can never be too sure of the product that you buy after you use it for a couple of days. Measurement capability – The luggage scale that you buy should be able to convert pounds to kilograms and vice versa. This will help you know if your luggage is still at weight limit even if you’re in another country. Multi-function – Once you’ve got all the factors considered above, it’s great if you can buy a luggage scale that also has multi-functions like a backlight, temperature thermometer, and more. With the two products mentioned above, we believe that the Tarriss Jetsetter Digital Luggage Scale is the best. It already has all the features that you need on a scale, and it has little to no disadvantages at all. 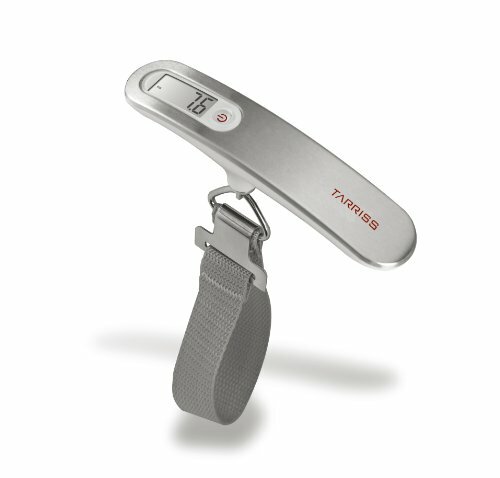 What’s more is that if you purchase this Tarriss luggage scale, you can get a lifetime warranty.